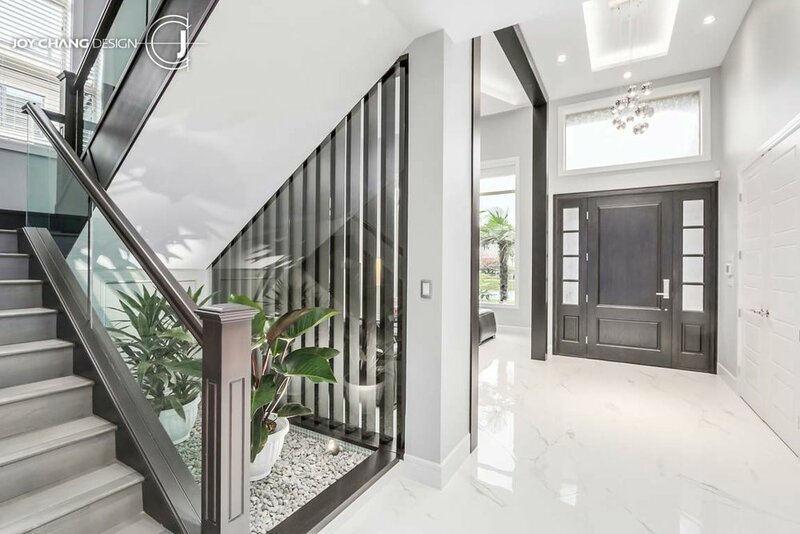 Barkville Court — Joy Chang Design Inc.
We designed a soft and bright home with a mostly white colour palette combined with sophisticated greys. To match the exterior, we designed the living room fireplace to feature a matching texture, paired with plush leather sofa and stone top coffee table. 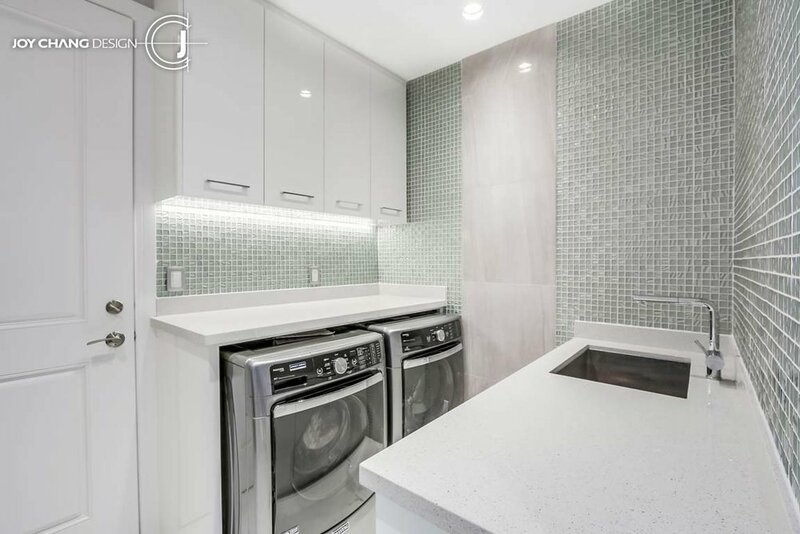 The kitchen was designed with an open concept in mind, well-lit and accented by light coloured furnishings, it feels both modern and inviting. The bathrooms were designed to have soft bright walls matching the white furnishings to make it a bright and relaxing environment.